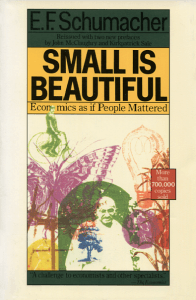 August 16 marks the centennial of the birth of the economist E. F. “Fritz” Schumacher, author of the widely acclaimed Small Is Beautiful (1973). 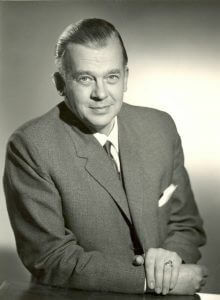 Fritz was a Rhodes scholar who escaped from his native Germany to Britain at the onset of the Nazi era. For years he was the model of an undistinguished British bureaucrat, eventually serving as chief economist for the British National Coal Board. But along the way he was somehow drawn into the orbit of a little U.K. magazine entitled Resurgence: The Journal of the Fourth World. The theme of Resurgence was a repudiation of “the existing power structures of the world, not because they are capitalist or communist or fascist or whatever, but simply because they are too big”. The need for some limiting principle – enough! The eternal relevance of the four cardinal virtues: prudence, justice, fortitude and temperance. After four brief years of international fame, Fritz died in 1977. Like-minded people in the US and UK founded E. F. Schumacher Centers to perpetuate the intellectual tradition he had inherited and did so much to popularize. I was a founder of the US Center and a director for 23 years. Small Is Beautiful has been reprinted several times. The 1989 Harper & Row paperback edition contains prefaces by two apparent political opposites: a founder and chronicler of the radical Students for a Democratic Society (Kirkpatrick Sale) and a former Reagan White House senior policy advisor (me). It is fascinating that our independently written prefaces were so compatible. Some of Fritz’s 1973 ideas no longer resonate. A couple were impractical from the beginning. But in this age of onrushing bigness— in government, business, labor, education, religion, and many other areas of what we call Western civilization, Fritz Schumacher’s inspiring and evocative arguments for decentralism, human scale and the human spirit remain well worth reading. It was good that he lived.